New Delhi: India captain Virat Kohli is well ahead his contemporaries and destined for greatness, former Sri Lankan batting stalwart Kumar Sangakkara has said. Run-machine Kohli capped a memorable 2018 by becoming the first to win the ICC cricketer, Test and ODI Player of the Year awards last month. “Everything about Virat’s game stands out. I think he is head and shoulders above anyone else in world cricket today,” Sangakkara told India Today news channel. “And I think going forward, he will be one of the greatest ever cricketers, if not the greatest ever,” said the Sri Lankan batting great. 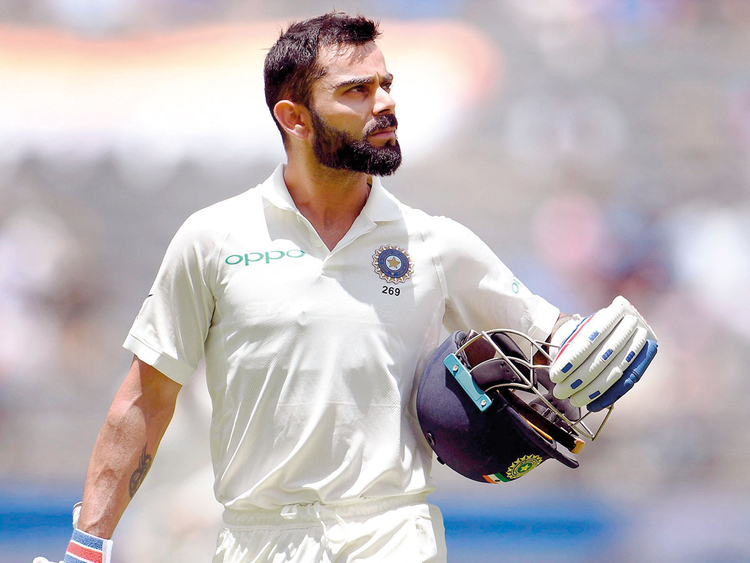 With 39 centuries from 222 one-day matches, Kohli is second only to compatriot Sachin Tendulkar — who scored 49 from 463 — in the 50-over century makers’ list. He has also scored 25 hundreds in 77 Tests. Sangakkara is amazed by Kohli’s ability to succeed across formats without tinkering his basis game. “He has this incredible knack of scoring runs and has a very, very solid method that he believes in,” said the former Sri Lanka captain.